Have you ever had a yen to "tread the boards"? Don't be shy ---- come on down and audition. Rosarito Theatre Guild holds open auditions for many of its productions. Age or ability is no problem, but desire is. So watch for our audition notices. 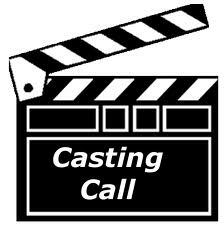 If you are unable to attend one of our Casting Calls, or none is scheduled at the time, and you would like to be placed on our "Actors" list to receive the schedule and email notifications, complete our Talent Information Form. We'll put you in the computer and get you started. We continuously update our data bases. If you are an actor who has had a change of address or phone number, please email us and correct your information.